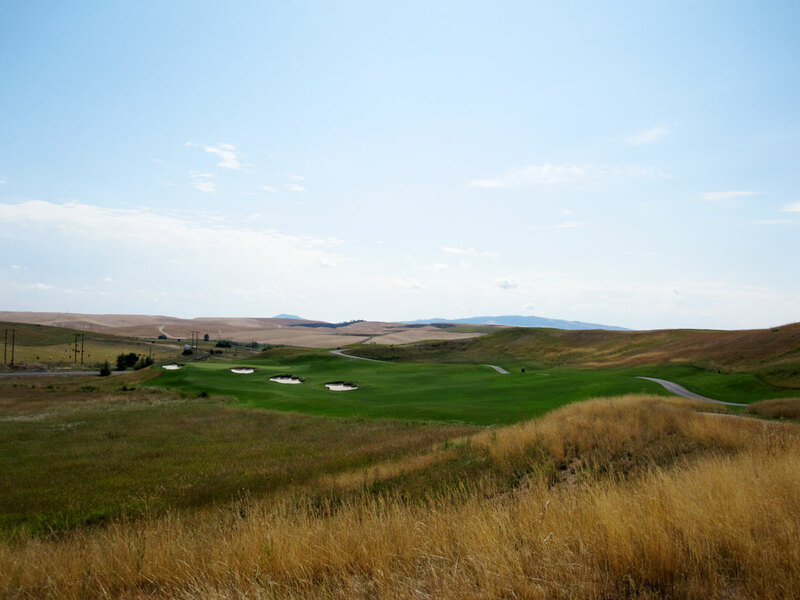 Course Website: Official Website - Visit Palouse Ridge Golf Club's official website by clicking on the link provided. 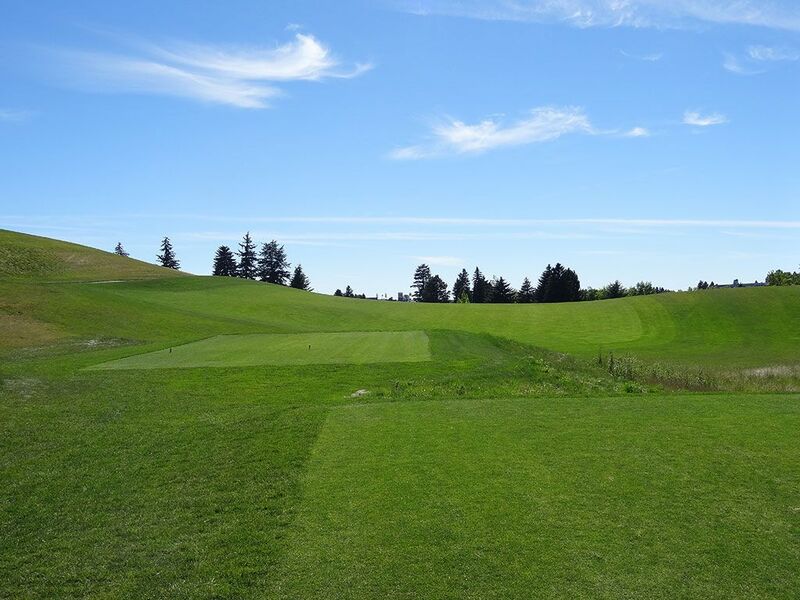 Accolades: Ranked 11th in Washington on Golf Course Gurus' Best in State list. What to Expect: If I were applying to go to college right now, Washington State would be really high on my list. Why? I love the Rocky Mountain/Pacific Northwest area, you can enjoy all four seasons, and then the biggest reason – Palouse Ridge. The new college owned course is a fantastic addition to the Pacific Northwest and one of the best university courses in the country. 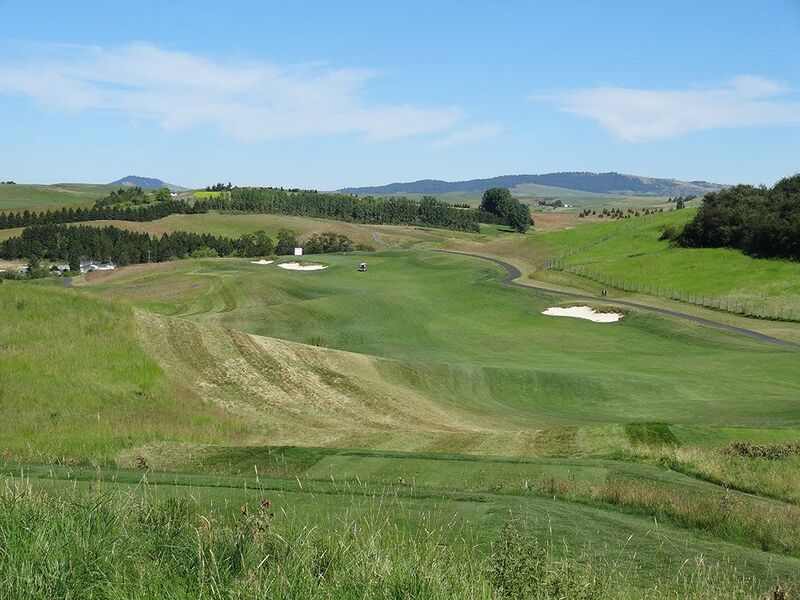 John Harbottle was brought in to craft a layout that would celebrate the vast rolling property and he succeeded by delivering an undulated links design that is a bit tough to walk but a ton of fun to play. The fescue lined fairways blend perfectly with the surrounding farm ground that can be seen for miles from the highest points of the course. The course will no doubt be a favorite venue to host state and university tournaments and will offer a challenging, but fair, test of golf. 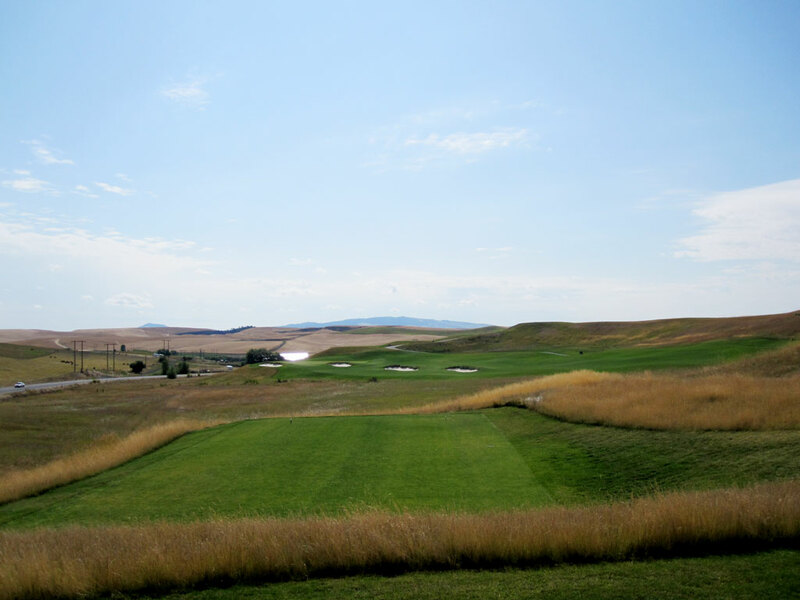 So if you are a student that loves golf, check out Pullman, WA; $39 gets you 18 holes on a weekday while less than $50 secures a weekend time. For a $1000 you can own a pass for unlimited golf all season long – just tell your parents it’s part of the room and board! 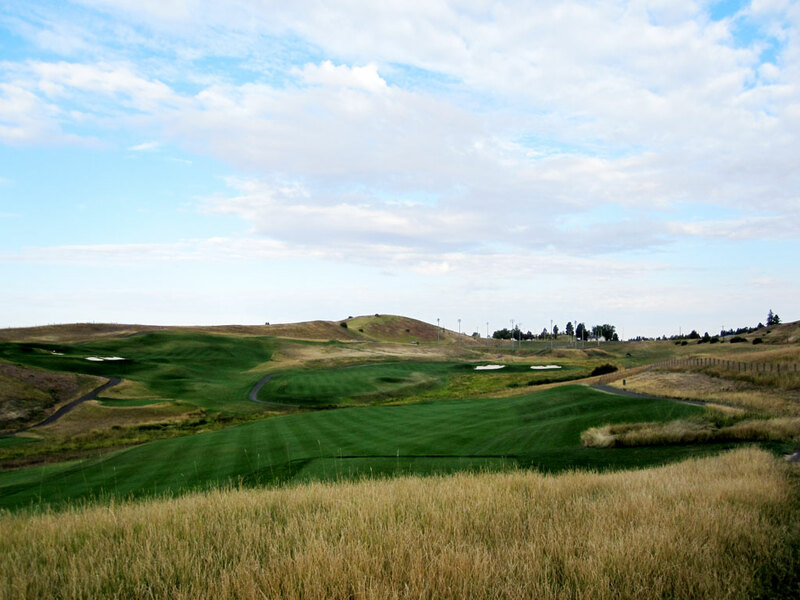 Signature Hole: 10th Hole – 626 Yard Par 5 – The opening hole of the back nine displays the grandeur of Palouse Ridge with this larger than life hole that boasts expansive views across the property and huge yardage. The tee shot plays downhill to a fairway that features two bunkers up the right side. Beyond the bunkers, the hole begins turning to the right and continues traveling to a green that features a long bunker on the right and an infinity edge in the back. It’s a hole with commanding views and commands your attention. Best Par 3: 4th Hole – 190 Yards – By the time you get to the 4th hole, you may be wondering if you’ve been transported to a highlands links course on the other side of the Atlantic. This masterfully crafted uphill par three blends in effortlessly to the hillside and features a partially blind shot. The green is twice as deep as it is wide and features a bunker to the right of the putting surface. If you’ve read many of my reviews, you will understand that I feel uphill par threes are underrated and not implemented enough is course design. This hole couldn’t be a better example of how good and rewarding such a par three can be. 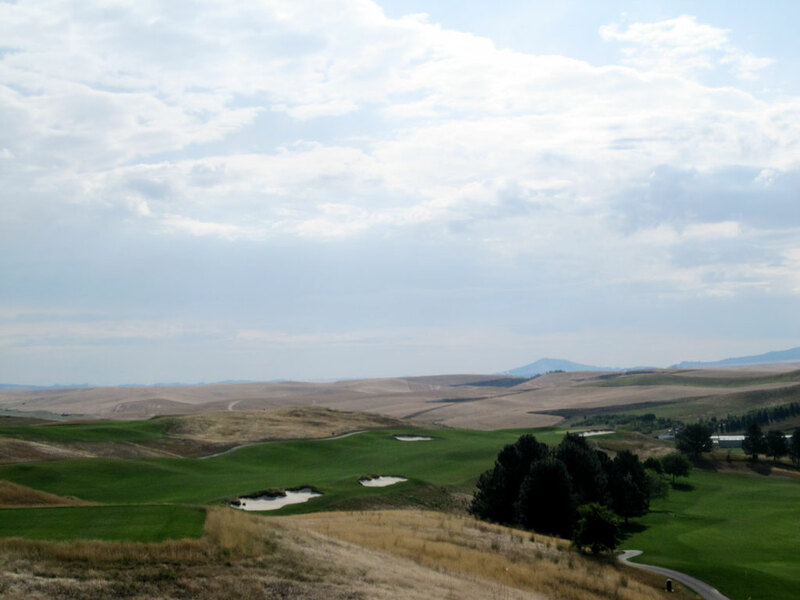 Best Par 4: 1st Hole – 463 Yards – The opening hole at Palouse Ridge introduces the golfer to the wonderful rolling terrain found in Pullman. The impressive Bryan Clock Tower found in the distance on Washington State’s campus is the aiming point for your tee shot to this undulated fairway. Tee shots pulled to the left will find some forgiveness via the hill that kicks balls back towards the short grass. The fairway drops down into a valley before climbing up to the green site that features a lone bunker on the left and trees on the right. The terrain, fescue, and views from this hole that you experience should get your heart racing knowing you are about to play some great golf holes! 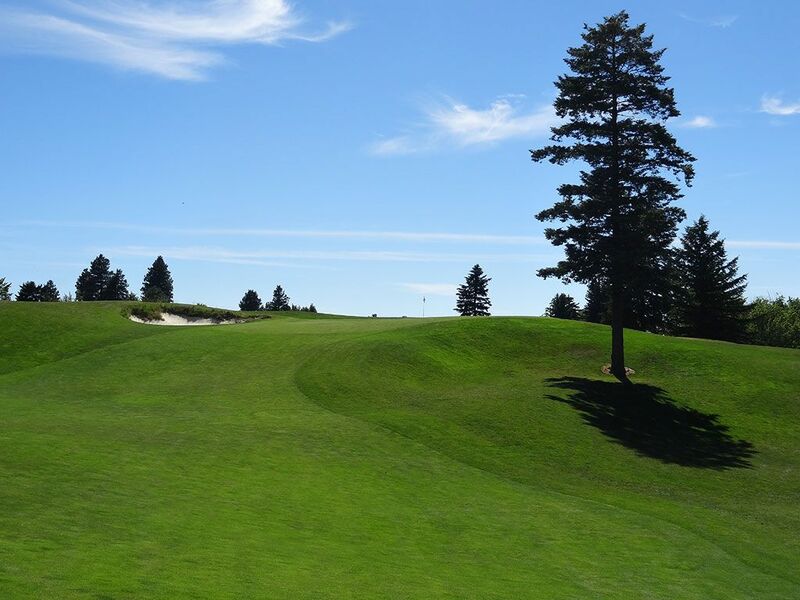 Best Par 5: 5th Hole – 589 Yards – By the time I got to the 5th hole, I was gitty inside with how much fun I was having and how impressed I was by this college track. From the tee box you are presented with a wide fairway that slopes right to left and tightens the further down the fairway you hit your tee shot. A stretch of wetlands cuts across the fairway and travels all the way up to the green. Due to the bisecting wetlands feature, the original fairway comes to an end and a second fairway is presented on the other side of the trouble. Therefore, the golfer is presented with a decision on their second shot whether to cross the wetlands to the new fairway on the left or whether to layup to the end of the fairway and hit a long approach to a shallow green directly over the wetlands. The green complex features two bunkers between the putting surface and the wetlands with the ideal angle being from the far left of the fairway. 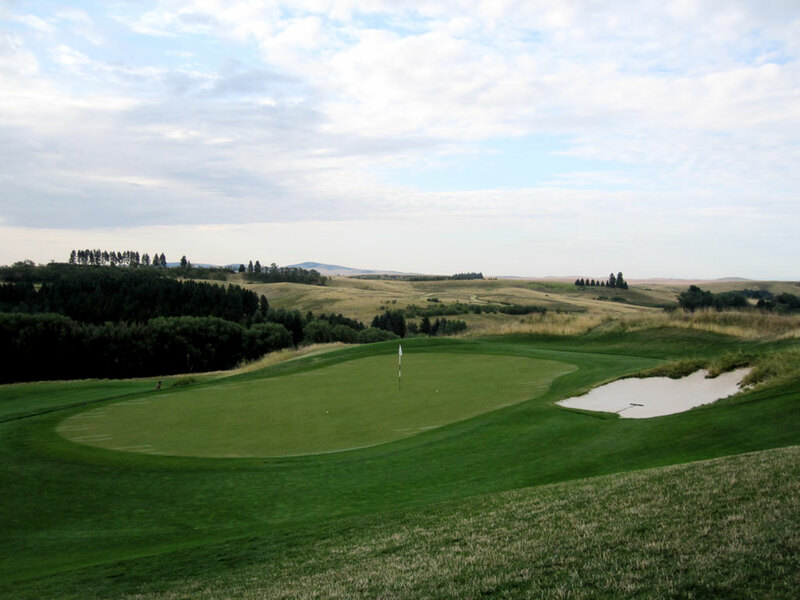 It is an expansive hole that plays slightly downhill and features speed slot up the right. Deadly accuracy coupled with length is required to reach this beast in two while laying up doesn’t guarantee a par. It’s just a great strategic hole, plain and simple. Birdie Time: 15th Hole – 369 Yard Par 4 – At a moderate 369 yards, the 15th hole presents an opportunity to shave 50 yards off the total distance by nailing your tee shot over the thick fescue found on the inside corner of this dogleg left and try to reach the green. For the less daring player, hitting out to the fairway requires navigating the three bunkers that line down the middle of the fairway. The green features a bunker on the left and is best approached from the right side of the fairway. It is a great risk/reward hole that features a variety of elements and options to consider. Bogey Beware: 3rd Hole – 484 Yard Par 4 – Elevated tees are fun to play due to the dramatic views and impressive hang time your tee shot can have. 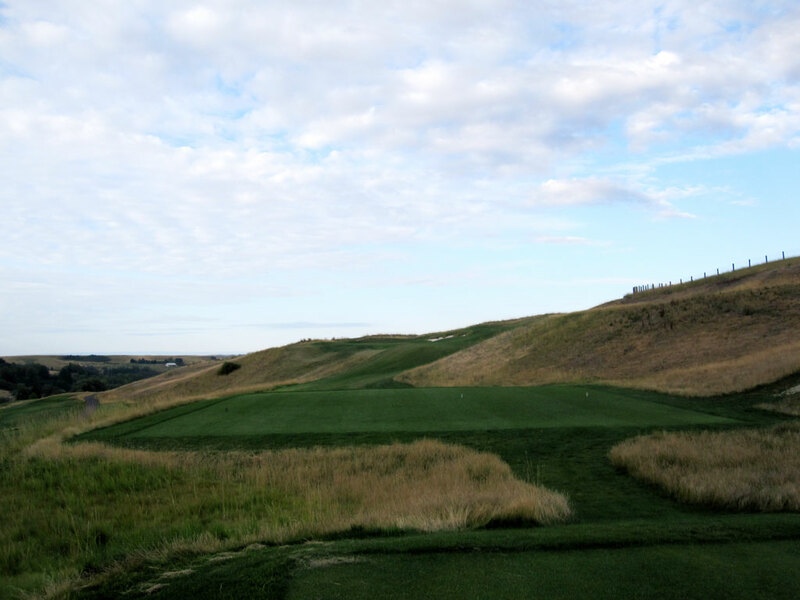 However, an elevated tee can also accentuate any flaws with your tee ball, which may prove fatal on this tee box that is perched nearly 100 feet above the fairway that threads between the fescue. A single fairway bunker is found on the right while trouble lurks to the left. The approach shot plays to a green featuring two bunkers on the left and a hill on the right. 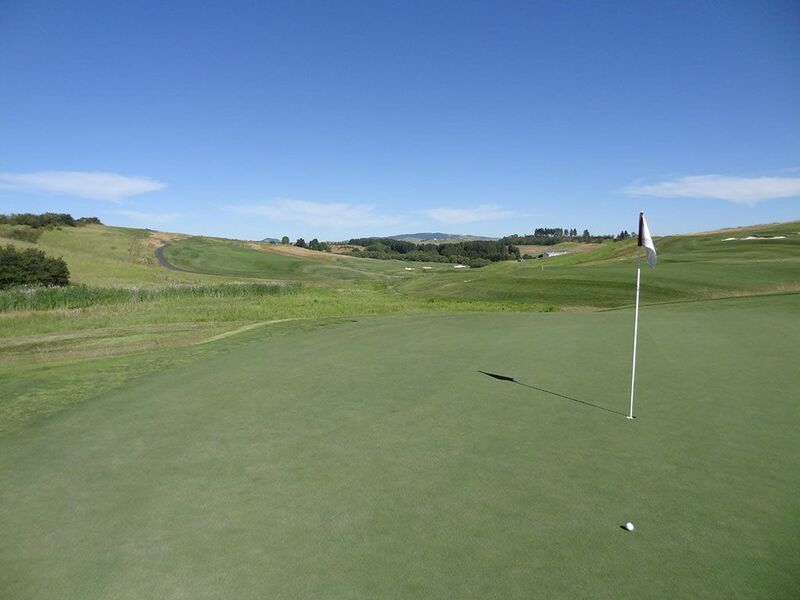 The infinity edge feature behind the green results in an impressive and intimidating view while firing at the pin. At 484 yards of length and more trouble in view than safety, this strong par four can wreck havoc on your scorecard if your swing goes squirrely.